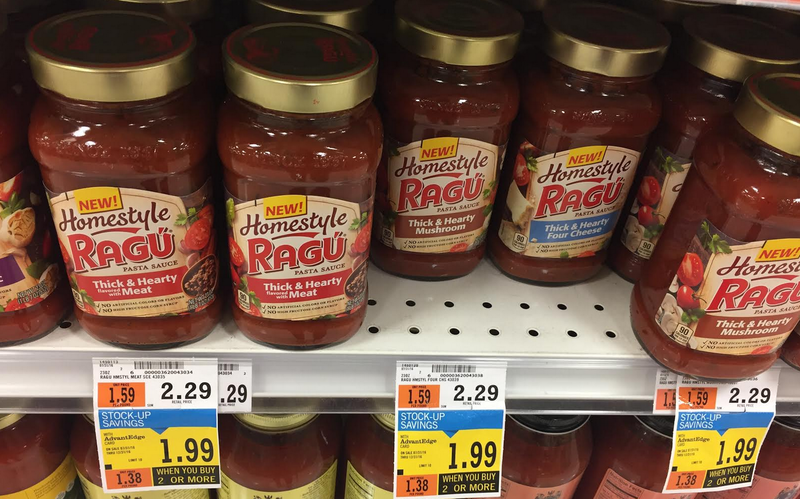 Price Chopper: Ragu Homestyle Sauce $0.49 Each! $0.75/1 Ragu Homestyle variety (page 4) = $0.49 each! Homestyle has no artificial flavors, no artificial colors and no high fructose corn syrup.